Stanford Hills Estate is a boutique wine estate set in the relatively new wine-growing area of Stanford in Walker Bay. Wines are truly handcrafted in the minimalist cellar, which is housed in an old aircraft hanger. 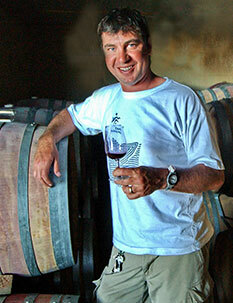 Stanford Hills was first recognized for the extraordinary quality of their Pinotage. The farm now also produces Shiraz, Sauvignon Blanc, Rosé and an MCC. The estate also offers accommodation. There is a superb 120-seater restaurant on the farm. The farm offers whale watching by air in a small Cessna airplane. We are currently in the process of building five luxury tents, which will open by October this year (2017). Stanford Hills Estate is also a flower farm, producing Proteas and Pincushions for the export market. believes that good wine is made in the vineyards. He trusts in minimal intervention during the winemaking process to allow the fruit, slow-ripened by cooling sea breezes, to fully express itself.